The ImageXpress® Pico Automated Cell Imaging System combines high-resolution imaging and powerful analysis, with a streamlined workflow. It includes CellReporterXpress® software for acquisition and analysis, and features a comprehensive portfolio of preconfigured protocols. The automated setup of analysis parameters shortens the learning curve, so you can start running experiments quickly. If you’re in the market for fluorescence imaging or digital microscopy, the ease and affordability of an automated imager is now within reach. With the approachable, icon-driven CellReporterXpress software, everyone can use the ImageXpress Pico system with minimal training to capture and analyze your first image. 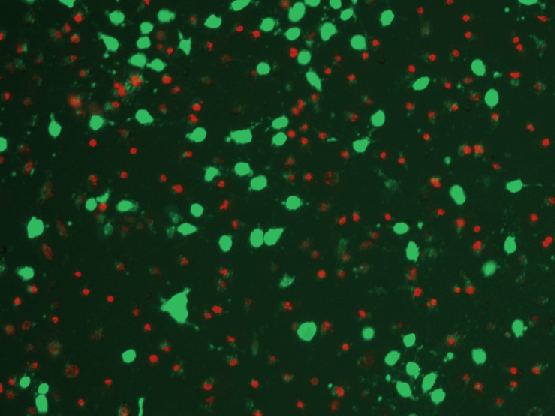 Expand your assays beyond cell counting with preconfigured templates for many commonly used cell imaging and analysis protocols such as apoptosis and detection of mitochondria. Alleviate the hassle of going to the core lab to run your samples. The system’s lab-friendly price affords the convenience of automated imaging and analysis on your lab bench. 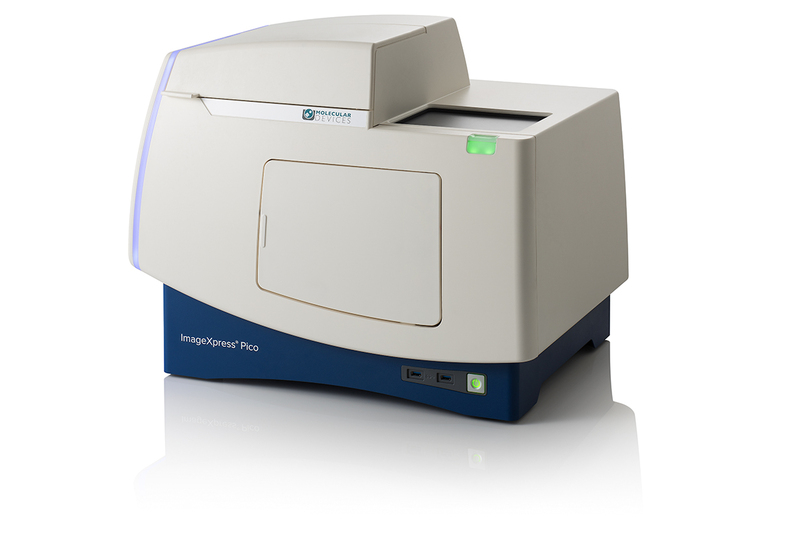 The ImageXpress Pico system provides user- and software-selectable objectives ranging from 4X to 63X, fluorescence imaging, live cell imaging, and brightfield imaging modes. 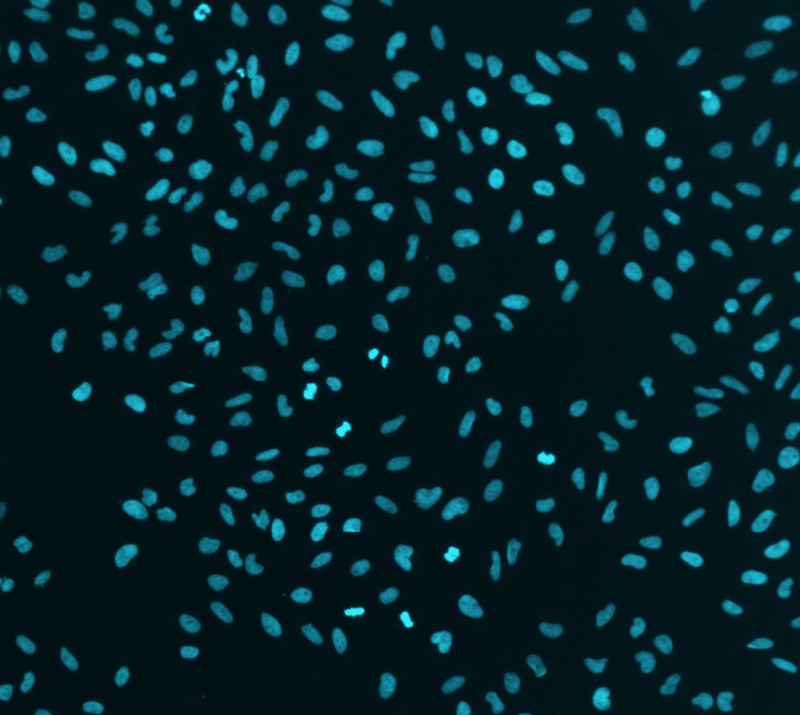 The system offers preconfigured cell imaging protocols ranging from simple cell count to sophisticated neurite tracing analysis, removing the guesswork from optimizing parameters. Data can be visualized at multiple levels from plate overviews to individual cells. Images are clickable to locate cells that match specific criteria. Liberate your lab from tedious digital microscopy, the software transforms images into data on the fly. Scatter plots, videos, and more can be generated automatically with just a few clicks. 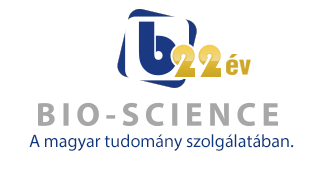 Whole slide scanning, for the determination of regions of interest, is quick and easy. Acquires higher resolution scans of only the select regions, saving time and data storage. Temperature control up to 40◦C is standard on every ImageXpress Pico system, making live cell imaging a possibility.